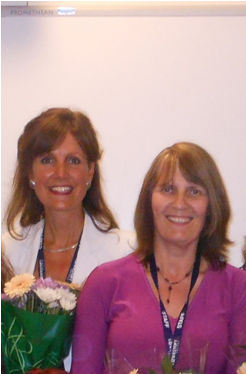 Emma and I work as lecturers in the Travel and Tourism department at Lowestoft College. This relationship has been a long and fruitful one for both of us; we’ve both shared the same passion and drive for the ‘subject’ itself and have both been keen to ensure that our students are successful in a highly competitive world. Over the past 15 years we have been fortunate enough to see our students win a number of national awards and we constantly strive to find new ways of promoting both the College (which is, of course, Britain’s most easterly point) and the students themselves. As always, funding is tight and innovation, creativity and endless networking continue to be crucial! Our involvement in this project arose from our personal creativity and our realisation that our level of student interaction had become a little staid – it was time to move into the 21st century! We are grateful to David Woodcock who has given us permission to feature the photograph of the college as the banner image for this website.